This is a collection of peer-reviewed academic world history essays and articles. We invite and encourage anyone interested in teaching, researching, or studying world history and global studies to contribute and comment. Contributors are solely responsible for the opinions, analyses, and conclusions of their essays. The editors, MWWHA, and the College of St. Scholastica disclaim any responsibility for the opinions and analyses of the contributors and those who submit comments. We have made every effort to alert our contributors on the importance of respecting intellectual property rights. If one of our contributors has mistakenly submitted an image that is not open sourced, please email the Chief Editor and we will remove the image(s) immediately. The contributors are solely responsible for all of words and images they submit for publication. Please include your full name and institutional affiliation when you comment. The Middle Ground Journal reserves the right to refuse to post comments for any reason. 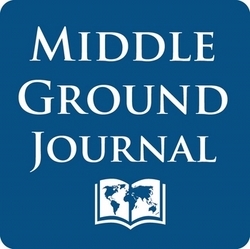 Submissions to The Middle Ground Journal will be accepted on a continual basis. For questions about the suitability of thematic topics, please contact the Chief Editor. We accept articles and essays, short stories, photography, other artistic/creative artifacts, travel and conference reports, as well as reviews of nonfiction, fiction, film, and television. We also encourage reviews of world history and global studies textbooks and reflective presentations of teaching materials. While we publish invited reviews, we also welcome reviews of books and other artifacts you already possess. The Middle Ground publishes two issues annually, spring (January to May) and fall (September to December). Articles and reviews are published weekly except during the summer hiatus (June, July and August). We will also take advantage of the online format to publish shorter timely pieces, columns, reviews, etc. as they come in (or as events dictate). All entries should be e-mailed to the Chief Editor as an attached file. The format for submission is Microsoft Word, default layout, Times New Roman 12 pts font, double spaced. In the body of the e-mail message, include current contact information and brief biographical data that should appear with the article. Submission to The Middle Ground Journal in this manner will constitute your acknowledgement that you have studied these guidelines, and have agreed to the conditions therein. Please consult the current issue as a model for the preferred style. While we prefer the Chicago Manual of Style, as an interdisciplinary and global journal, we welcome other commonly accepted citation styles on a case by case basis. Articles should be between 2,500 - 7,000 words. Longer submissions will be considered at the discretion of the Chief Editor. Each article or essay should be accompanied by an abstract of approximately 50 words. The abstract should be clearly marked at the beginning of the file. Authors should also include up to ten key words that will be included with the published file to help search engines index articles. The short title should be a compressed title of the paper. Please note that reviews are copyedited by our editors, and changes that do not change the meaning of the original text will not be returned to reviewers for approval. Please do not use in-text citations/foot or end-notes. All research articles are double blind peer reviewed. Many of the On Teaching essays are as well. Essays marked as "Column" and "Report" are edited, usually by two, often by more editors. While we seek to be a responsive and thoughtful journal, please remember that all editors are volunteers with other duties and tasks. We ask that all authors thoroughly copy-edit and proof-read materials they submit, and we will return material without further editing until this has been accomplished. The Chief Editor and assistant editors, in consultation with peer reviewers, will supervise all changes necessary for publication. All acceptances are conditional upon completion of all changes deemed necessary by the editors. All decisions by the reviewers are final. Conflicts between reviewers, author, and/or assistant editor will be resolved by the Chief Editor. Reviewed, edited, and accepted pieces will require at least six to twelve months for publication. Please note that because of the educational mission of the journal, your submissions and correspondence may be used to teach student interns. An important part of their education is in scholarly professionalism and confidentiality. Your CVs/resumes are never shared with student interns. The Middle Ground Journal grants open-access to all not-for-profit and educational institutions, provided that 1) the piece(s) are reproduced and/or linked in their entirety, without editing or alterations, 2) full and written/printed credit is given to The Middle Ground Journal and to the author(s), and 3) that such a reproduction is not for a fee of any kind. Teachers and students are warmly invited and encouraged to use this journal in their classes. We encourage you to please let the Chief Editor know when you reproduce our work on an open-access basis. If you wish to link to anything in The Middle Ground Journal, please inform the Chief Editor. Each issue is copyrighted as a periodical. Individual authors retain the rights to their own works; however, they must grant permission to The Middle Ground Journal to include said works as part of the contracted issue of the journal, and as part of a permanently archived electronic database. Good Morning, I am a History Techer in a high school in The Bronx interested in reviewing books for The Middle Ground. Please let me know by email how I may learn what books are available for review. Thank you. Dear Sir/Madam, I am fresh graduate in an international university in mainland China. I have followed the articles in the Middle Ground Journal for long time, and now I am also very interested to submit my bachelor's thesis to the Middle Ground. Thus, I want to know do I still have opportunity to submit my paper in the Fall 2013 issue? Thank you very much. I am interested in contributing an articles entitled- "Global Scholarly Networks and the West Indian University". Please indicate to who I should submit the article to. THE NORTH STAR PROJECT, 2013 SUMMER REPORT NUMBER THIRTY-FOUR -- ST. PETERSBURG, RUSSIA, PREPARING TO HEAD BACK TO THE U.S. OF A. Published by the Midwest World History Association (MWWHA), housed at The College of St. Scholastica. See also, The Middle Ground's curated Facebook Page.